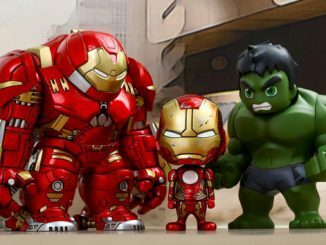 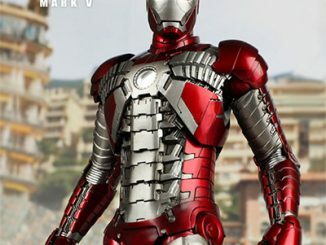 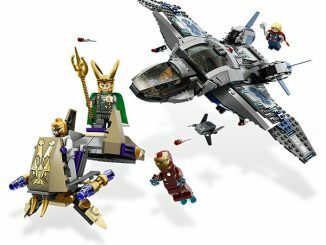 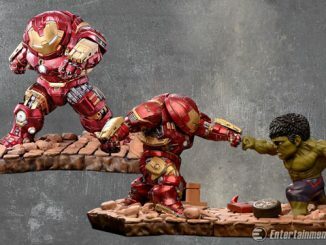 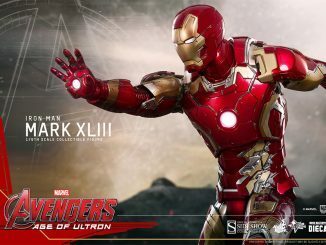 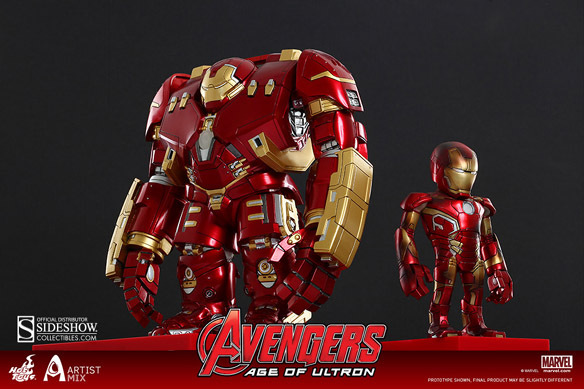 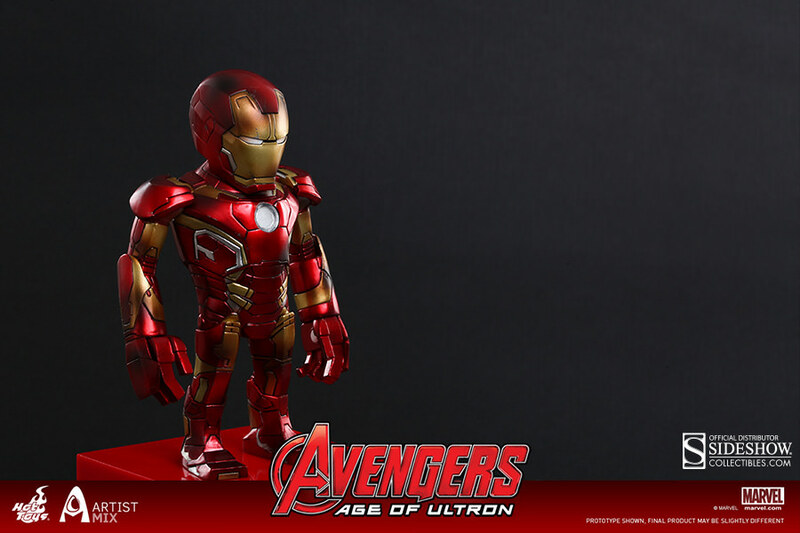 The Mark XLIII (Battle Damaged Version) and Hulkbuster Collectible Set features two very different looks for Iron Man as he appears in Avengers: Age of Ultron. 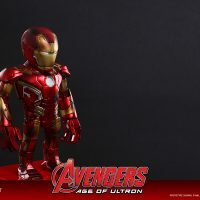 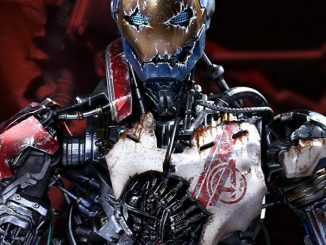 To kick off their new Artist Mix Collection, Sideshow Collectibles has joined forces with Japanese toy artist Touma to create unique looks for the figures in Avengers: Age of Ultron. 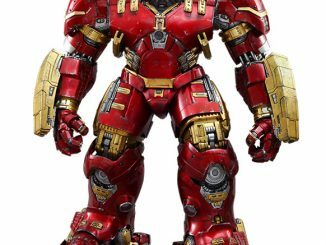 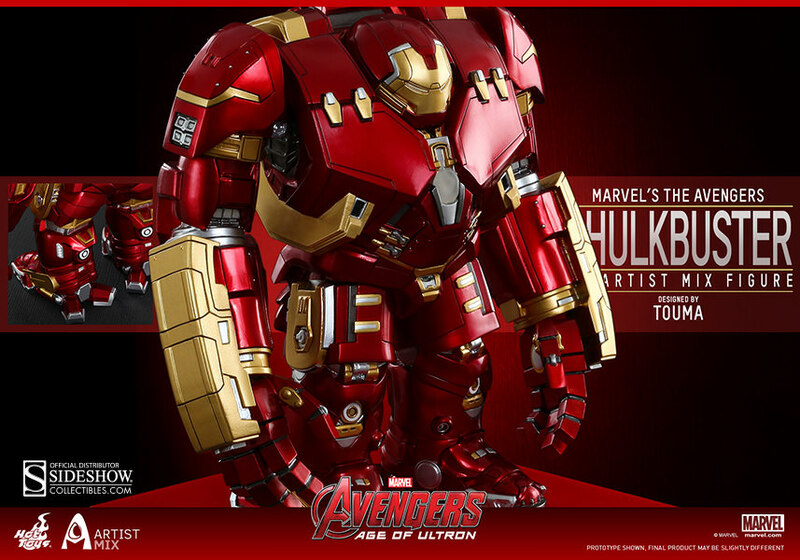 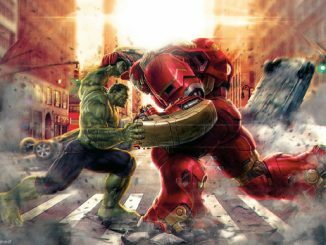 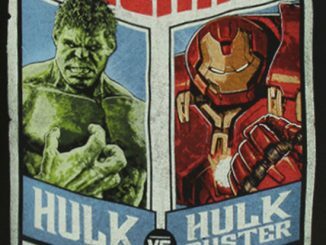 The Hulkbuster stands 7.8-inches tall while the Mark XLIII armor stands 5.5-inches tall. 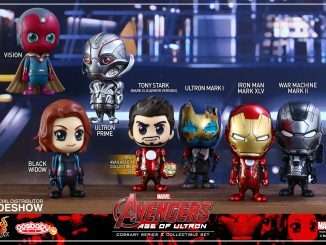 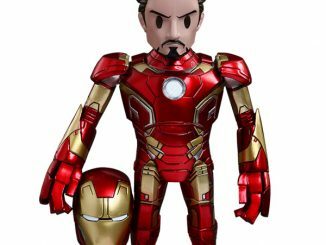 In addition to looking awesome, each figure is also a bobble head. 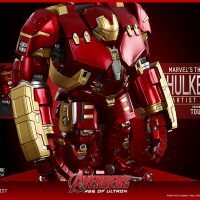 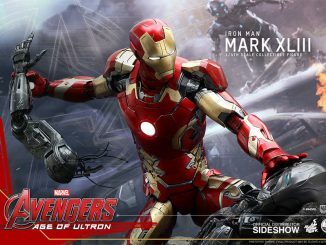 The Mark XLIII (Battle Damaged Version) and Hulkbuster Collectible Set will be available Aug 2015 – Oct 2015 but it can be pre-ordered now for $149.99 at Sideshow Collectibles.